Heavy duty Aluminum horns are ideal for large out door . Sound travel up to 600-1000 meter from horn. It has Long life, rugged construction, good quality clear sound and Acoustically well design for efficient power. 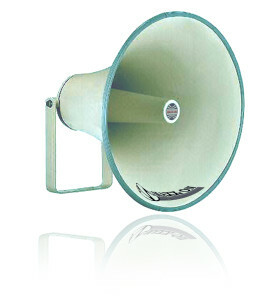 Reflex horn comes with Steel bracket /stand to with stand stress & vibrations.